This is a fascinating compendium of Ancient Egyptian literature. Constanze Holler has selected a range of literature and the original book was written in German, being translated for this edition by Cordula Werschkun. It brings to life the Egypt of the Ancients. A delightful flavour of Ancient Egypt. 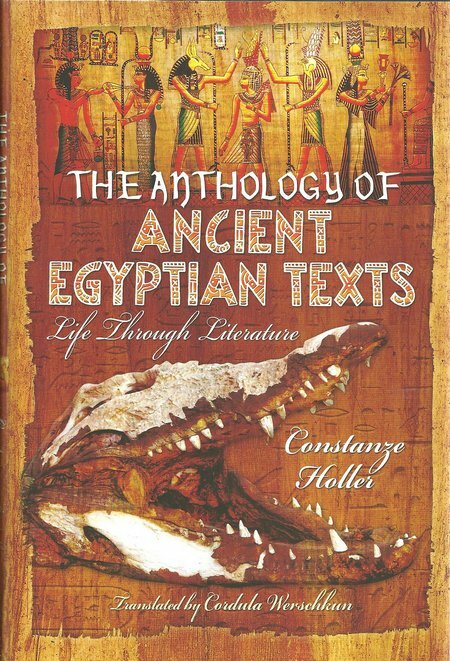 DESCRIPTION: This is a fascinating compendium of Ancient Egyptian literature. Constanze Holler has selected a range of literature and the original book was written in German, being translated for this edition by Cordula Werschkun. It brings to life the Egypt of the Ancients. A delightful flavour of Ancient Egypt. Holler went to Western Thebes as a member of an archaeological team, having studied Egyptology in Munich. Today she works as an editor for a German publishing house but demonstrates an obvious love and appreciation of the literature of Ancient Egypt. Egyptology has developed a very large audience through television programs reviewing aspects of Egyptian history, rules, buildings, funereal practises and religions. So much has been learnt but so much more is still mystery. For most, Egyptian writing is in a strange language that appears in tombs and on some buildings. What is largely unappreciated is that Ancient Egypt produced a considerable legacy of literature. In this book different aspects of life and communication are presented in a very easy to read book. Ten texts describe life in those days. It includes fiction and non-fiction, as in any modern literature. There are spells and love poems. Fables and accounts of family history present the merging of fiction and non-fiction. A King explains to his heir the nature of kingship and divinity. There are biographies, heroic tales, and life lessons. This is a delightful time travel to a place that is known and yet unknown, unique in history and yet so familiar in modern life where society is entertained and taught.